Hey guys, accomodation was great at Hay and hosts were more than friendly. We got along with the owners fine, they are very easy going. We left today and didnt want to disturb them or even knew if they were home, so cleaned the accomodation, vacuumed and swept as well as all rubbish disposed off and any trace we were there cleaned up. Thanks for hosting us. You have a great place and hope we prevented a few new rabbit holes in your property. We didn't want to disturb you before leaving and couldn't find a pen or pencil to leave a note but thankyou once again. 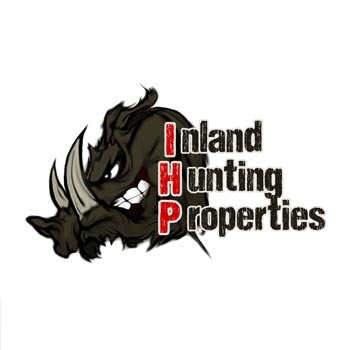 If you have any friends that have problems with pests, please pass on your good experiences with Inland Hunting and promote the cause of “connecting responsible hunters and friendly hosts”. All the best, I might bring my brother up sometime soon. Hope the accomodation was clean to your standards. Hi ieam, we all had an awesome time heaps of game to shoot never seen so many Hares and Foxes and the Yabbies were huge we highly recommend this property and both property owners were very helpful and as for the accomodation five star awesome differently go back again boys already planning next school holidays and want to stay at least a week or more. We are finally home from our road trip around western NSW and northern Vic. Our stay at Hay was one of the highlights of the trip. The owners are wonderful, friendly, salt-of-the-earth folk who made us feel like family. The accommodation was very comfortable (the wood heater was most welcome). We saw dozens of hares, lost count of the number of rabbits we shot (and drove past scores more), saw a reasonable number of foxes, but they were cagey, so only managed to shoot one. The dams were full of large yabbies too. Apart from the hunting, we had plenty of opportunities for wildlife spotting with plenty of emus, galahs, quail, ducks, roos and flocks of hundreds of blue winged parrots. I've attached a few photos. Thanks again for recommending Hay, it was an experience we'll long remember with great fondness.